As the Founder and Publisher of Vapor Digest and Vapor Lives Magazines, Patrick Butson’s mission is to help the e-cigarette industry gain legitimacy by education and awareness. A graduate of Harvard Divinity School, the theologian – turned vaping visionary vows to set the record straight when it comes to vaping and the industry of e-cigs in general. He is convinced that vaping is the answer to many smokers’ prayers and that the part he plays in educating the public is divinely-inspired and validated. 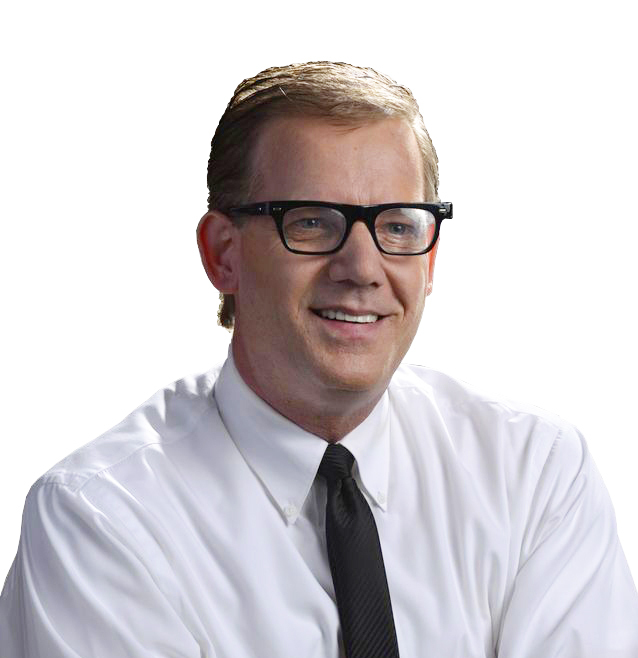 I reached out to Patrick recently and we talked about his early days in divinity school, his calling to do something on a grand scale for God and his vision when it came to the print magazines he created, devoted to vaping and the e-cig industry. The conversation was sincere and open, revealing a man who truly and passionately believes in his magazines and his mission, but doesn’t discount the toll it has taken on his personal life. So sit back and enjoy this most unique conversation with a man who is genuinely unique in his own way, set apart perhaps by a spirit that is made so by a predestined future – the Mr. Magazine™ interview with Patrick Butson, Founder and Publisher, Vapor Digest & Vapor Lives Magazines. On why he started the vaping mission: To be honest with you, I don’t think that I’ve used the gifts that I’ve been given to their fullest potential. On whether or not vaping has anything to do with his theological calling: Yes, it gave me this sense of calling again and I understand that sometimes when you’re looking for gold, everything you see is shiny. On the two magazines; one trade, one lifestyle: My real intention when I started was to be more like the lifestyle magazines, but when I realized that what was needed was more of an investigative-type of magazine first, that’s why I did them both. 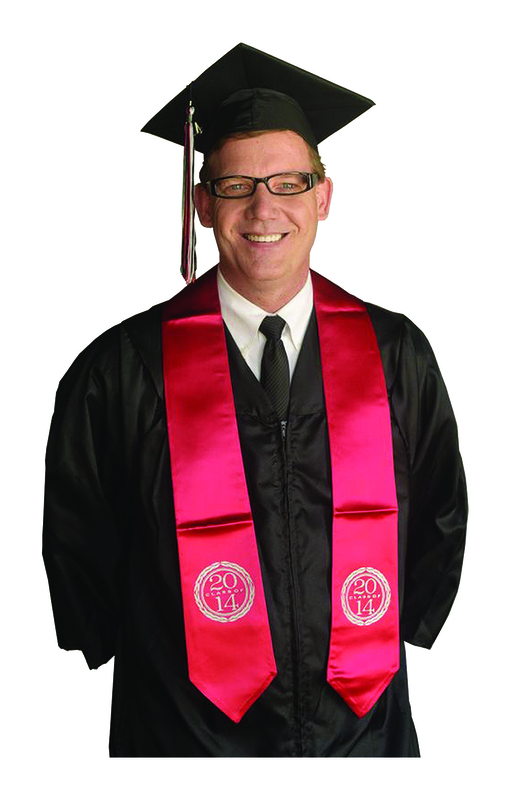 On the advertised emphasis of his theology degree: I did that because I believe it sets me a little apart, because what I do is try to focus on the vision of what it could be and let it lead me like the North Star. On what’s in it for him: What’s in it for me most importantly is that I matter. I think that if I keep saying perceptive things and keep getting them right and keep giving out the information, along with the stories that people want to read, then I think I’ll have an influence. On his ultimate goal for the magazines: My ultimate goal for Vapor Lives magazine would be for us to be a combination of Rolling Stone and Cigar Aficionado. I want it to be that important about a new social trend like Rolling Stone was. On the major stumbling block that may prevent his goals: I think the main thing for me because I’m boot-strapping it and I don’t have the financing and the backing of some of the existing magazines that might want to get into the space. On whether a year from now he sees himself surrounded by competitors and copycats: I do, yes I do. It’s already happening a bit. 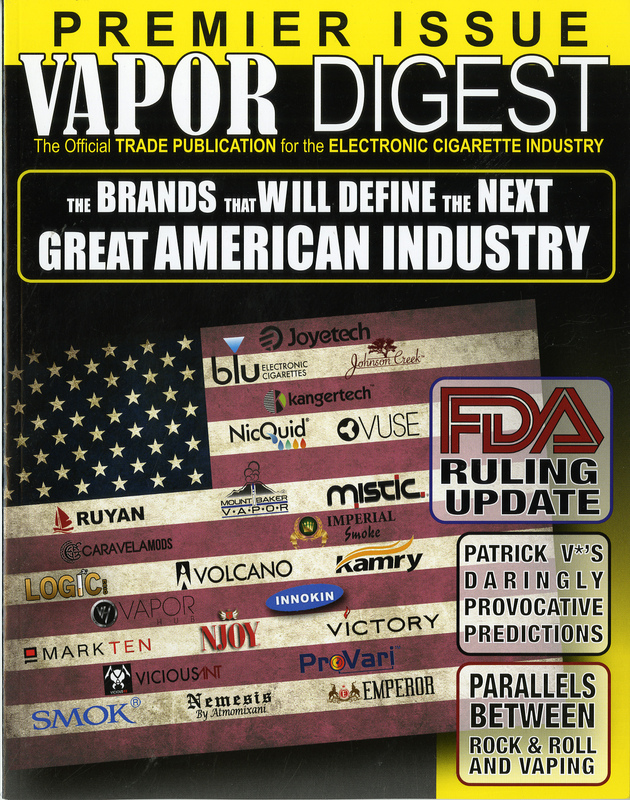 The tobacco industry’s trade publications have a couple of them that have combined with a vapor publication. On why he decided on a print format for his magazines: Printing is what I do and so I think the reason I chose print is because I personally would rather have a really nice magazine in my hand. On what keeps him up at night: The fact that in doing this, it’s taken a lot of work and a toll, not only on me physically, but it’s really taken a toll on my relationship with my family. Samir Husni: After I read about all that you’re doing, it seems that you’re a one-man crusade. You’ve started the two magazines and the organization. You’re doing the testing and everything. Why? Patrick Butson: I wrote in my book why. To be honest with you, I don’t think that I’ve used the gifts that I’ve been given to their fullest potential. When I was a young man, for some reason, I really always thought that God was going to do something special through me and I was somehow going to be inspirational or something; I don’t know exactly, but I found myself at Harvard Divinity School which confirmed that I was being led in that direction. And then I got married and when my wife and I got pregnant, I kind of panicked or got nervous; I’m not sure how to explain it perfectly, it was like me having this nebulous calling to do something great was fine for me as a single man. Although my wife was pretty cool with it, but I didn’t think it was fair for a child being brought into this world to have such an unsure future. So I felt I had to make a choice. I could go get a real job and make some money or I could continue on this path of not knowing, but feeling like I was going in the right direction. And I guess all these years later, I kind of regret that I had to make a choice and realize now that I could have done both. I could have lived a more inspiring life and meant more to more people and found a way to take care of my family like many other people have done. Yes, a lot of the reason why I’m doing this is that I regret not taking a more adventurous path and when I saw the first person vape, I just knew instantly that it was very special and had the potential to really change a lot of lives. So I began to follow that. Something that could give me that feeling again that I mattered. Patrick Butson: No, I didn’t smoke. And yes, it gave me this sense of calling again and I understand that sometimes when you’re looking for gold, everything you see is shiny. And if it’s something you want to follow, it could be fool’s gold and I might just be seeing what I want to see, but the vision and the perception I have of what vaping can become just energizes me and makes me want to do this. Samir Husni: Almost at the same time you started two magazines, one for trade and one for the lifestyle. Patrick Butson: In general, I got involved with it because I was excited. And when I started vaping I assumed there would be a magazine about it. I’m not a smoker per se, but once in a while I like a celebratory cigar and if I ever wanted to know what might be a good cigar, I’d go to Cigar Aficionado or if I wanted to know what’s a good craft beer, I’d go to the craft beer ratings, but when I did that for vaping I realized how you almost have to ask two questions. Let’s say that you want to try a new honey-whiskey that Jack Daniels has come out with and you read the reviews and tried to get a sense of whether you’d like the flavor; all you really have to ask yourself is would I like it or not. You never have to ask yourself if the whiskey is safe, but that’s not true with the vaping landscape. It’s a very Wild, Wild West out there; you don’t know who you can trust, because people can make things sometimes look too good to be true. A person may have a friend who is a web designer and he could make that company look like a pharmaceutical giant. So that’s part of the reason why I did this too. My real intention when I started was to be more like the lifestyle magazines, but when I realized that what was needed was more of an investigative-type of magazine first, that’s why I did them both. Samir Husni: Why the emphasis on being a Harvard theologian – turned visionary? Everywhere I see your name that is very prominently written. Why? Patrick Butson: I did that because I believe it sets me a little apart, because what I do is try to focus on the vision of what it could be and let it lead me like the North Star. But as I was trying to get people to listen to me and help me, they said don’t undersell or be embarrassed that you’ve got a theology degree and it’s true, so why not say it. I guess that’s part of why and it’s quite a unique thing to have. And it lets people know that I’m probably coming from a different angle than most. Samir Husni: What’s in all of this for you? Patrick Butson: What’s in it for me most importantly is that I matter. I think that if I keep saying perceptive things and keep getting them right and keep giving out the information, along with the stories that people want to read, then I think I’ll have an influence. That’s mainly what’s in it for me. But I also realize that I need to monetize my efforts so that I can keep doing it and I’ve done not as well as I’d hoped, but I think I’m on my way. I have advertisers. If you have a copy, you’ll see several paid advertisements. Samir Husni: What is your ultimate goal? Where do you see the magazines a year from now? Patrick Butson: My ultimate goal for Vapor Lives magazine would be for us to be a combination of Rolling Stone and Cigar Aficionado. I want it to be that important about a new social trend like Rolling Stone was. It also gives the trustworthy ratings like Cigar Aficionado does. That would be my goal for that magazine. And it would be sold in Barnes & Noble and counters as you go through supermarkets. I’d love it to be a magazine like that and have that type of presence and clarity. And I would like for the trade magazine to be the official source of the industry and the news magazine of the industry. That would be my two goals. Samir Husni: And what do you think will be the major stumbling block that might prevent those goals from happening and how will you overcome that? Patrick Butson: I think the main thing for me because I’m boot-strapping it and I don’t have the financing and the backing of some of the existing magazines that might want to get into the space. They would have the funds and the people and the pipelines to overwhelm me with financial might, so that’s obviously a concern. I’m glad I was the first, but I don’t think I’ll always be the biggest, that’s not important to me. But as long as I always have my niche and my certain specialness, then I think I will have accomplished what I wanted to accomplish. Samir Husni: There’s a saying in our business: there are the groundbreakers, the copycats and then there are the cheap imitators. And being a groundbreaker; do you think that a year from now you’re going to be surrounded by competitors and copycats? Patrick Butson: I do, yes I do. It’s already happening a bit. The tobacco industry’s trade publications have a couple of them that have combined with a vapor publication. On the lifestyle side there’s several already out, with more coming every day. 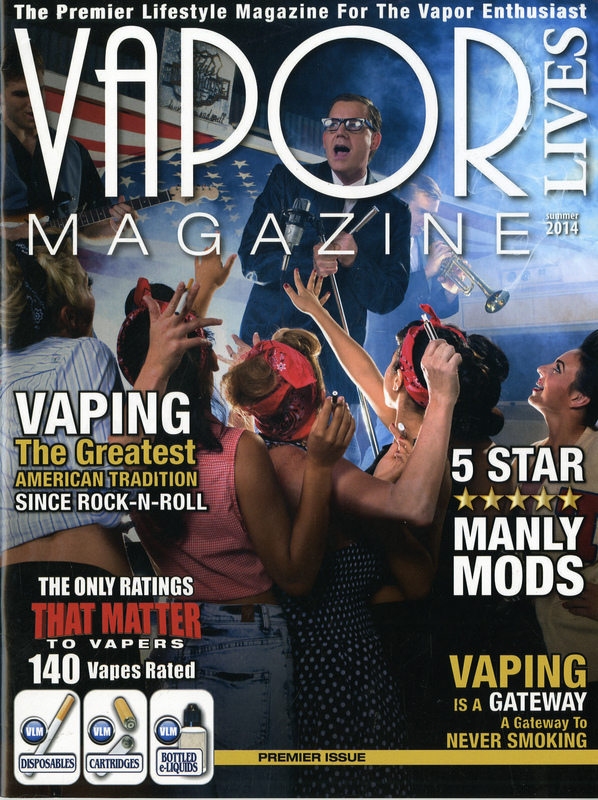 I think the thing that’s going to make or break the vaping lifestyle magazines would be the one that has maybe a celebrity on their cover first. And I don’t know any celebrities. So I think that a publishing firm that already has celebrities on their roster and lined up would be the first to have one on the cover actually vaping, making them similar to how Cigar Aficionado now always has a famous person on their cover smoking a cigar. And I would think that would really establish that lifestyle magazine for vaping to have a high-end star on their cover; I believe they would definitely take the lead. Samir Husni: There have been so many things that you have done digitally and we do live in a digital age; what made you decide on print for your magazines? Patrick Butson: Although I had my degree from Harvard Divinity School and had written many theological things, albeit not necessarily published; I’ve been a printer for 25 years. Printing is what I do and so I think the reason I chose print is because I personally would rather have a really nice magazine in my hand. If you see my magazines, you’ll note that they’re on really high-quality paper, highly varnished, nice binding; they just look good. And that’s important to me. I really wanted it to be something that a consumer would want to hold in their hands and read. Samir Husni: And now I see that you’re coming out with a book? Patrick Butson: Yes, I sent you a copy. Samir Husni: Yes, I’m looking at it now. It’s not only a showcase for the vapor industry, but it’s also a coffee table-type book. Another reason that I decided to do it that way is because I want people to read it. I’m going to be giving many of them away, mailing them out to people in the industry. It’s one of those things where I want you to look at it; I designed it where each page has its own integrity, its own little story. Where people may want to only look at one page, but you can learn something from that particular story. Samir Husni: So what’s next for Patrick? Patrick Butson: Well, I’m still operating in the red, so I’m hoping to start breaking even soon. That would be a great goal to reach. And I just want to keep doing it and doing it well. And I hope it becomes this thing in the industry where I’m one of the people that everyone looks to for hope. Right now, vaping and e-cigs, the essence of them are filled with controversy and anxiety, who’s right and who’s wrong, and I’m trying to just send a more positive message and if I can continue to do that, I will be happy. And I hope people in the industry will allow this technology to become the gift to mankind that I feel it was meant to be. Samir Husni: As you’re talking, I realize how many hats you have worn and still wear: printer, theologian, visionary and missionary for the industry now? Patrick Butson: Maybe, maybe so. Missionary, I’ve never thought of it in those terms, but you’re right. I think you’re right, because that’s what I’d like to do. That would be fine with me. Patrick Butson: The fact that in doing this, it’s taken a lot of work and a toll, not only on me physically, but it’s really taken a toll on my relationship with my family. It’s just one of these things where I’m not sure if it’s worth it. And that’s what keeps me up at night; is this effort, which has caused a lot of stress for me and my family with the traveling, because I go to all of these vape shows and I’m tired when I get home and I don’t spend as much time with my family; is it all worth it? Are all the sacrifices my family has had to put up with, worth it? They didn’t volunteer for this, after all, I volunteered them for it and that’s what bothers me and keeps me up at night.